The overall goal of the Vaccine Impact Modelling Consortium is to establish more efficient systems for vaccine impact estimates generation with the priority countries being Ethiopia, India, Nigeria, and Pakistan. By working with a variety of modelling groups – like the Perkins lab – the administrative arm of the consortium is developing a web-based delivery platform to enable easy access to the latest data and to allow funders to have quick access to the estimates derived by the research teams. Additional information about the Vaccine Impact Modeling Consortium can be found at https://www.vaccineimpact.org. 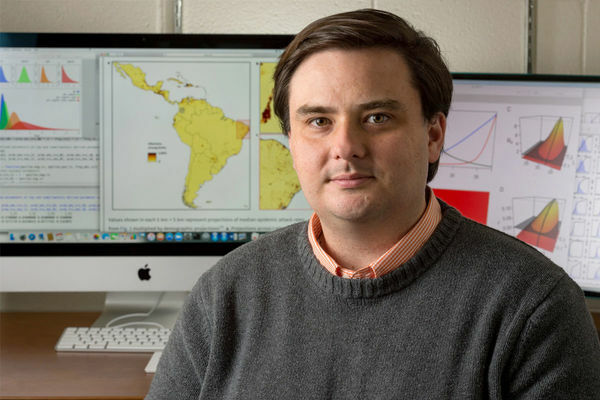 Members of the Perkins lab, including Moore, are experts in applying mathematical, computational, and statistical approaches to better understand the dynamics of infectious disease transmission and control. The major themes of their ongoing work include spatiotemporal dynamics of pathogen transmission and infectious disease incidence, model-guided assessment of interventions for infectious disease prevention, and infectious disease dynamics in the context of global change. Moore and Perkins are both affiliated members of the Eck Institute for Global Health, which endeavors to promote research, training, and service for the advancement health standards for all people. The institute recognizes health as a fundamental human right and aims to support those in developing countries who are disproportionately impacted by preventable diseases. To learn more about the institute, please visit globalhealth.nd.edu. Originally published by Brandi Klingerman at research.nd.edu on January 14, 2019.